The health and fitness craze has swept the nation by storm and new marketing buzz words and fads are constantly coming in and out of popularity when it comes to nutrition and fitness. Every supermarket across the nation is now decorated with advertising preaching “organic,” “low-carb,” “free range,” “gluten free,” “non-GMO,” “all natural” and more. But what actually sets the health foods apart from the traditional non-health foods? Sadly, it’s usually just marketing jargon. Here are 5 foods that are marketed as healthier options, but after using the best body fat percentage scale, you realize they aren’t. There is also other options like this kind of supplements as https://healthyusa.co/gundry-md-vital-reds-review/ which help with many health issues. Supplements are used for all kind of treatments, some are meat based and others are plant-based supplements for people who don´t prefer meat-based items. Almost every time you see an energy bar you will simultaneously see health claims such as “all natural” or listing protein content. In reality, most of these bars are high in calories as well as sugar and are nutritionally closer to candy bars. You may think frozen yogurt is the perfect substitute to ice cream but in terms of calories and sugar, they’re closer than you think. Once you load the yogurt up with sugary and fat-filled toppings, it’s pretty much equal to its ice cream counterpart. Right now, I am thinking on how to eliminate neck fat. 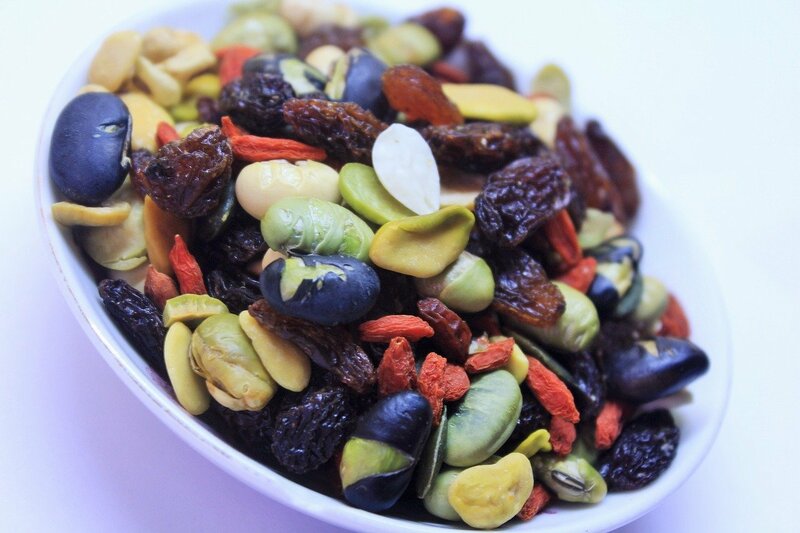 Trail mix is often a go-to snack due to the ease of carrying and traveling with it, but a simple handful of trail mix can easily result in 250-500 calories and it becomes very easy to eat an entire bag in one sitting. Most of the store bought trail mix is filled with candy pieces, yogurt-covered items, chocolate and dry fruit, which make the amount of calories, sugar and trans fat skyrocket. These popular single-serve packages aren’t doing anything great for your waistline. Flavored instant oatmeal is packed with added sugar and empty calories, which almost entirely nullifies the benefit of the complex carbohydrates in the oats. Try eating whole oats or steel cut oats and using some Stevia and cinnamon to sweeten the meal for long-lasting energy. While these drinks may have a variety of beneficial vitamin and antioxidants, often times smoothies can have between 500-1000 calories in them due to the overabundance of sugars and syrups that are added for flavor. Make sure you check the nutrition information before purchasing a smoothie, or making healthier homemade versions.